This entry was posted on December 31, 2011 at 3:10 pm and is filed under Essays, The Diamond Jubilee, a Mrs. KfC guest post. You can follow any responses to this entry through the RSS 2.0 feed. You can skip to the end and leave a response. Pinging is currently not allowed. Oh dear. Can’t abide it, although I must abide it as I care for an elderly couple of sisters who rose at 4am to watch the latest royal wedding in their nighties and dressing gowns and on and on that goes to my dread. I don’t mind the monarchy. Just the news of it. I will admit that I dressed in mourning for an Easter meal with a dear friend who shared my penchant for vintage black dress and stockings when the Queen mother died. But it was the outfits and the old bag’s gin and vigor that appealed. Not the crown. Must we really understand the role Prince Philip has played? Couldn’t we just skip it and sing the song when they come around for a visit, allowing that the prince really isn’t mentioned at all? Forgot to mention that the most amusing queen was Quinton Crisp in The Naked Civil Servant. Wish the movie was available on DVD so people could enjoy royalty without reserve! We can most certainly skip all the hoopla if we wish, but the gin and tonic does seem to have rather broad appeal. Sheila, excellent review as always. I was surprised to learn that Prince Philip played such an important role in the Queen’s life and will follow up with your suggestion to learn more. Apparently the Queen bucked her family when she decided to marry him and has never regretted her decision. Who knew. Thanks and Happy New Year to you and Mr KfC! I’d like to have my KFC email subscription delivered to my Kindle instead of my usual email address, but I need to “approve” an originating email address in order for Kindle to accept delivery. The address that shows up when KFC emails arrive — donotreply@wordpress.com — doesn’t seem to be acceptable. Ouch! Kathleen – how could you?! Following the Royals is the next best thing to watching Corrie every night. And now I want to learn a little more about sour Prince Philip. Thanks Mrs. KfC, your timely review. Thanks for the review, Sheila! I find myself strangely fascinated by this world (mostly due to your bad influence) and I can’t wait for all the 60th anniversary celebrations. Do you think Prince Philip’s heart is up to all the stress? Thank you for your comment. Given that HRH met Prince Philip when she was 13, it’s a really amazing marriage — as you say, “who knew”! Try and pace yourself – we have a WHOLE year of this!! I’m glad you are with the program. How delightful; how delicious; how delovely! Thanks! Getting two of the four volumes!!!! I’m sure you will enjoy them. Thanks for the comment! Mrs. KFC does it again with another insightful and incisive review. 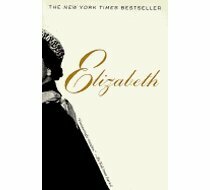 I am now more “into” the monarchy than I ever dreamed…looking for another review related to the the new monarchy: Will and Kate. Mrs. KFC: Not unexpectedly, my knowledge, curiosity and appreciation for Queen and Consort increased greatly after reading your review. I’m not sure the books you reviewed would have the same impact. I can’t think of another couple who have remained committed to proscribed duty for 60 years. It is possible to admire who they are and what they’ve done with their lives without subscribing to their way of life. Regards to Mr. KFC.